Got some tips from my dad as I made this, feels a bit unfinished to me, but i just left it alone and moved on to the next one. 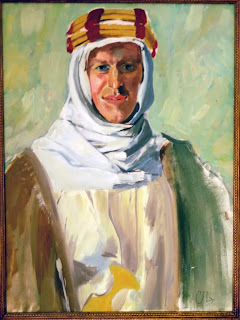 Its Augustus John's "LAWRence of ARabia." huge INFLUence on me. both Augustus and my Dad 'Ed'.